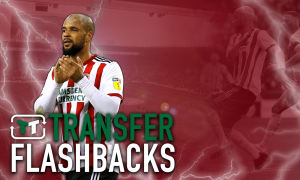 Triple heartbreak that proves Leeds United just can't hack play-off disaster - Verdict | The Transfer Tavern | News, breakdown and analysis on all things football! Some clubs love playing in the play-offs whereas others will do anything to avoid having to go through the agony that they can cause. Blackpool currently hold the record for the number of times a side has won the final (five) whilst Reading and Sheffield United have both suffered four defeats. For Leeds United, any mention of the play-offs to their supporters will instantly bring back bad memories. The Whites reached their first ever final in 2006 after defeating Preston North End 3-1 on aggregate to move just 90 minutes away from the Premier League. 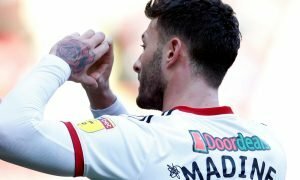 However, despite holding the advantage over their opponents Watford during the regular season, it would turn out to be an afternoon to forget for the Whites at the Millennium Stadium. Kevin Blackwell’s side went behind in the 25th minute as a Jay DeMerit header fired the Hornets into the lead before Leeds had a strong penalty appeal turned down just before the break after Ben Foster appeared to shove Paul Butler in the 18-yard box. After doing their best to hold on to Watford’s coattails at the beginning of the second period, the Whites conceded a second in remarkable fashion as a shot from James Chambers deflected against Eddie Lewis before looping over Neil Sullivan who was stranded in the goal. A late penalty converted by Darius Henderson secured victory and a place in the Premier League for the Hornets and ensured that Leeds would have to wait for their return to the top flight. The following season saw the Yorkshire-based outfit suffer relegation to League One yet after being handed a 15 point deduction ahead of the 2007/08 campaign, they managed to reach their second play-off final in two years. After entering the game as favourites over their opponents Doncaster Rovers, Leeds once again fell short at the final hurdle as a single goal from James Hayter was enough to give Sean O’Driscoll’s side a famous victory at Wembley Stadium. The Whites would go on to compete in the knock-out competition once more in 2009 but this time were defeated in the semi-finals by Millwall. 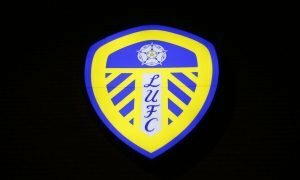 When you consider the club’s previous history in relation to the play-offs, it would be understandable if the current Leeds side want to do all they can to avoid having to secure promotion via that particular route this season. For them to do this, they must finish above rivals Chris Wilder’s Blades in the Championship standings. Although Marcelo Bielsa’s side currently hold a one-point advantage over United, it is expected that the race for the top-two could go down to the very last game of the year with the ultimate prize of Premier League football awaiting the winner of the battle.